A Key West Evolution CafÃ© Des Artistes, now Pisces, the renowned restaurant in the heart of Key West, was opened by restauranteur Timothy Ryan in 1983. A veteran of the Washington D.C. restaurant scene, Ryan was one of the first to bring fine dining to the Tropical out post of Key West. The restaurant is located in the Historic Old Town district at 1007 Simonton Street. This building dates back to 1892. It originally housed a tin wares and stove store and later became the home of Cigar maker Ignacio Castillano. In 1937 it was transformed into part of a Hotel and restaurant complex known as the Gulf Stream, owned by Al Capone's bookkeeper. The Gulf Stream did not last long. The building continued to serve as a venue for a variety of restaurants until 1983 when the CafÃ© Des Artistes was born. In September 2002 the CafÃ© was closed to undergo a renovation. This lasted a period approximately four months and resulted in its evolution. The building was revitalized from floor to ceiling and Pisces was born. Evolution is a part of all societies. 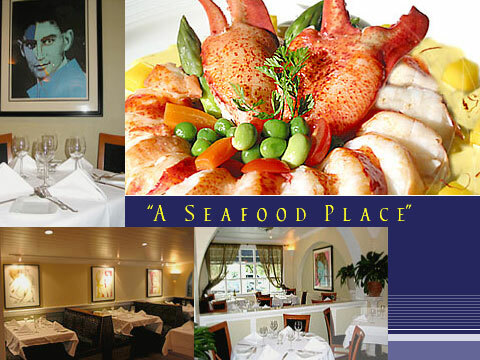 In this spirit we have evolved CafÃ© Des Artistes into a seafood restaurant called PISCES. We have taken the bold move of renaming the restaurant to reflect a new concept based on the fruits of the sea. An extensive renovation has upgraded the restaurant's interior in an effort to give it a more contemporary flavor. Pisces is a boutique restaurant - small, intimate and candlelit with beautiful artwork by Andy Warhol. The menu is primarily seafood complimented with selected meats and fowls. CafÃ© Des Artistes has always been know for its excellence and delicious seafood offerings one of which, the award winning Lobster Tango Mango has been our most famous signature dish for over 15 years. Of course, the Lobster Tango Mango is featured on Pisces new menu along with many of our customer's favorites such as the Yellowtail Atocha, Raspberry Duck and Filet Mignon. On the Appetizer side we continue to offer the famous Foie Gras and our Fruits of the Sea in Pastry now called Pisces Aphrodite. The CafÃ©'s most popular dishes remain on the menu and we have added many new and exciting seafood entrees and appetizers. We have built a new climate controlled wine cellar to house our award winning wine collection and will continue to offer some of the world's best wines. Our idea is to offer local and exotic seafood selections in an interesting and fine dining atmosphere. We hope the combination of first class art by Andy Warhol and Pisces contemporary American Cuisine will be a great addition to the restaurant scene of Key West. Our dedication to service and detail will remain at the highest standards that have made us famous in and out of Key West. The artworks on display are all Andy Warhol original signed prints from owner Timothy Ryan's personal collection. You will see portraits of Marilyn Monroe, Chairman Mao, Mick Jagger, and Liz Taylor among others, as well as the famous Campbell's Tomato Soup and Cow 1971. The name change was a hard thought decision brought about by the fact that the restaurant, through the years, has been moving steadily away from being a true French Restaurant. Owner Timothy Ryan believe that the new changes will provide an opportunity for us to offer our patrons an expanded culinary experience. We hope our loyal following will enjoy the changes. We expect to maintain the same quality of cuisine as has become expected of us.